We’re dead keen on ethical eyewear brand, PALA which - for the first time this season - offers recycled and biodegradable acetate options. They’re only part of the brand’s efforts to revivify planet and people, which include materials used, businesses practices adopted and providing grants directly to eye care projects in Africa. No wonder they’re a finalist in the new Be the Change Awards. ”My ambition is to ensure that sustainability is right at the heart of PALA's business,” says founder John Pritchard. “We will always work towards the UN's 17 Sustainable Development Goals; to end poverty, protect the planet and ensure that all people enjoy peace and prosperity” (Don’t know what the Goals are? Find out here). To further these ends, the brand has released a short film, Wealth Not A Waste which tells the story of Jib Hagan, founder of the Ghanaian NGO that Pala works with to produce its recycled, handwoven cases. It’s moving and joyous, showing both the toxic toll Western influences have had on the world’s poorest people - and the power of one gentle man to give his people in Bolgatanga a source of industry as their environment buckles under climate change; to maintain local craftsmanship and to turn waste into wealth. Watch it above. The quest for the ethical, cruelty free ‘leather’ accessory continue - for which Italian label MARIA LAMANNA may be a contender. Based in Florence, the collection has been created with both environment and community at its core. Classic designs draw inspiration from everyday life while everything from the bio-based, solvent-free synthetic leather to the recyclable metallic components are carefully considered and constructed. The brand has launched a crowdfunding campaign to bring the bags to market. If you like what you see, support it here. We don’t normally cover swimwear before April but - sssh - REFORMATION has teamed up with ECONYL to make its first collection of sustainable swimwear. Match made in heaven or what? Reformation creates trend-led sustainable fashion while ECONYL® turns waste fishing nets, fabric scraps, carpet flooring and industrial plastic from landfills and oceans into fibres. Of course, it’s not the first swimwear collaboration for ECONYL, which has also worked with WeAreNativ, Mara Hoffman and more. Choose from 12 styles including the Topanga ocean-waves inspired one-piece and this ethereal Cove swimsuit. Prices range from £48-£98. 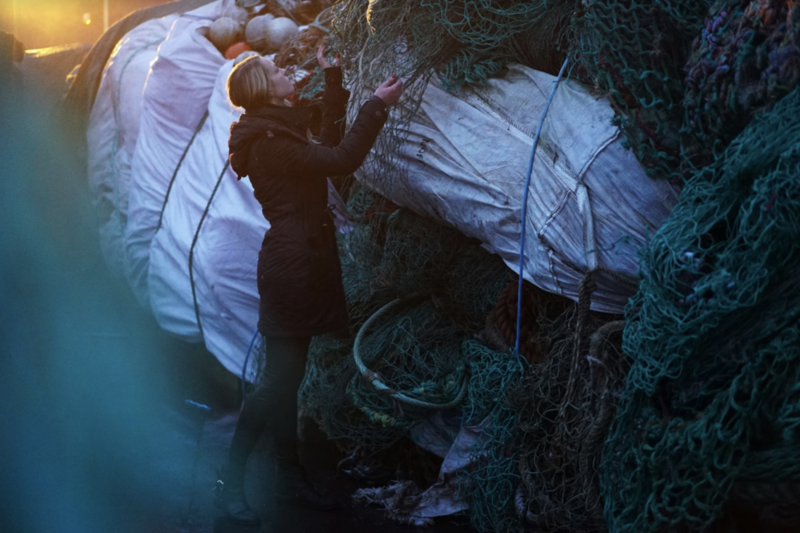 Discarded fishing gear accounts for 10% of all marine waste. As a result, it is estimated over 650,000 animals - including sharks, whales, dolphins, sea turtles and seabirds - die each year from getting caught in the nets. What a stupid waste. Surfdome teams up with Bracenet, a company that recovers old fishing nets and turns them back into useful items, and is giving out a recycled ghost net leash string free with every surfboard purchase. Shop all the surfboards here. The R COLLECTIVE upcycled brand launches Start from Zero, its first Main Collection. Born from Hong Kong-based fashion recycling charity Redress, the eight piece collection is manufactured by a Hong Kong social enterprise committed to local craftsmanship; rescued fabrics from luxury mills in Italy and Japan are turned into beautiful garments using waste-reducing techniques. Surplus off-cuts are re-incorporated as contrast trims and subtle design details to move towards zero waste. Highlights include the Cayce Jacket, made from upcycled Italian raffia, and the kimono-inspired Calabash Dress, made from upcycled Crepe de Chine. From HKD770 on www.theRCollective.com with select pieces available in Lane Crawford from end February. If you’re bored of the same-o same-o sleepwear themes - you know, silk, pastels, flowers - turn to loungewear by Japanese-Italian art director and graphic designer LETICIA CREDIDIO, whose bold, sustainably produced pieces could feasibly take you from bar to bed without blinking. Take the jet black, high neck tunic in organic jersey, with bird wing sleeves inspired by Brazil’s Golden–Winged Cacique or the Magpie double-breast housecoat with contrasting white collars. Everything is designed in East London and handmade in a family run atelier based in Emilia Romagna, Italy. 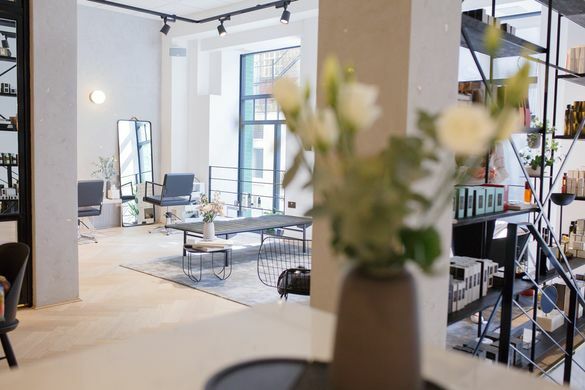 Sustainable luxury e-tailer Rêve En Vert has opened its first HONEST SPACE concept store at SMUK London and boy, is it pretty. Celebrating the best of ethical design, the space features a selection of designers who step lightly on the planet while reflecting Rêve En Vert’s tagline: we ‘don’t sacrifice style for ethics’. Co-curated by Rêve co-founder Cora Hilts, and SMUK London founder, Miabella Ristorp, the concept store offers sustainable luxury fashion, beauty and homeware brands against a backdrop by designer Frances Loom, who has decorated the space with vintage rugs. The walls are hung with exclusive Alexander Coe artworks, all crafted from recycled paper. Following the success of the REV Talks, hosted at Soho House, HONEST SPACE is also holding a programme of events on subjects designed to make conscious living easy and beautiful. The pop-up runs till March 13th at 20-21 Eccleston Yards, London SW1W 9NF. Lovely ethical clothing brand Lowie’s latest collection, Camp Lowie, offers a playful twist on the idea of wilderness adventures and nights around the campfire - with just a touch of American scouting influences. A hand drawn camping print - tiny tents, canoes and arrows - covers pretty dresses with corset bodices and natty jumpsuits. Denim is worked in a number of ways: as pleat-front trousers with contrasting hem and super cute shorts to that pretty utility dress. And throughout the collection, natural fibres and traditional handicrafts soothe body and soul, re-interpreting heritage silhouettes in pretty, new ways. Plus, the brand offers free repairs for the life of the garment. We love. Part 2. How to build good supply chains.